For the New Year, one of my biggest resolutions was to start taking better care of my skin. If I’m being completely honest, my skin isn’t awful by any means, but I still think it’s important to be consistent with skincare. I typically am not huge into masking, despite the fact that I am an esthetician, but I’ve been wanting to make it a priority in 2018. Thanks to Skin Forum, I was able to start this process in the right way. They were kind enough to send me five sheet masks to review, all targeting a specific concern. Sheet masks, for me, have always been all about relaxing and winding down, but with Skin Forum, there are a ton of amazing ingredients that help to target any concerns you may have. Skin Forum, a Korean brand, is perfect for any skincare concern you might have. Whether you’re worried about anti-aging, oily skin, or dullness, there is a mask that works for you. 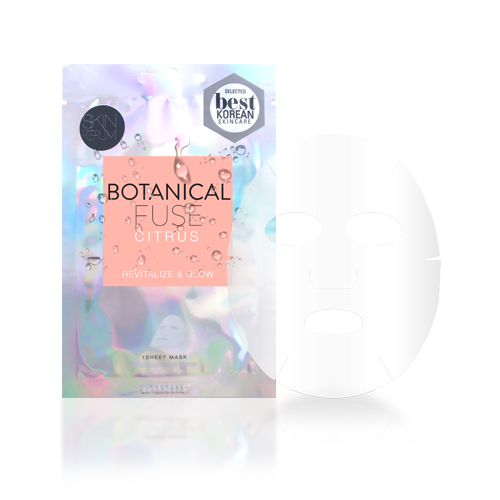 Their masks claim to promote glowy, healthy, and radiant skin for everyone, which I love. Keep reading on to find out what I thought about these masks! On my first official day of masking, I felt like my skin needed some energy. With the cold weather starting to come back, I felt dry, itchy and all around texturized. I thought the best place to start was to hydrate and give my skin that summery glow. This mask contains citrus, and claims to be the perfect detox for your skin. I poured a glass of wine, and let the mask do it’s job. Instantly, I recognized that these masks were different than other sheet masks I have tried. Typically, sheet masks do not stay put on my face. I constantly have to readjust masks, which is a huge reason why I have never been a fan of sheet masks. I was blown away at how undetectable these felt on my skin. They were the perfect size for my face, and stayed put the entire 20 minutes that I had it on for. After, I followed up with Glam Glow’s Glowstarter moisturizer. Day two called for some redness relief. With the cold, I always struggle with redness and irritation. Since I noticed that this mask was packed with lavender and chamomile, I figured this would be a great mask to introduce to my routine on this day. I can confidently say that this mask delivered in the redness department. I applied this mask right before I was going to do my makeup, and noticed that I used significantly less foundation to cover imperfections. After this day, I knew that these weren’t just your typical sheet mask. I was hooked! On day three, I was so excited to try their charcoal mask. 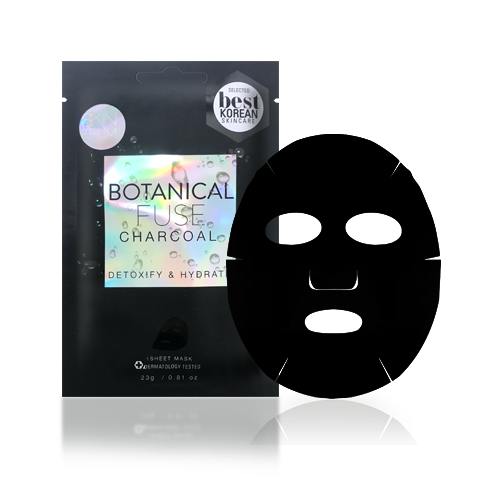 Typically, when I think of charcoal, I think of deeply detoxifying and mattifying. It was a pleasant surprise to try out a mask that was both detoxifying and hydrating. I decided to use this mask before I got on a plane, as my skin typically gets extremely dry when I travel. I was pleasantly surprised when I got off the plane, and had no sign of dry or irritated skin! For me, this was huge, because no amount of moisturizer can help my skin when I travel. I was able to get off the plane, and do my makeup with no problems. Day four, and I was officially on vacation. When I’m in warm weather, my skin tends to not know what to do…especially when I’m coming from cold weather. I was anticipating my skin to go off the wall, so calming rosemary and witch hazel was what I needed. This mask felt so cooling and soothing on my skin, and was the perfect mask for me to do on my first day of vacation in tropical weather. Day five brought me my favorite mask! The Oxygen bubble mask was so much fun to do, and gave me the perfect canvas for my makeup. 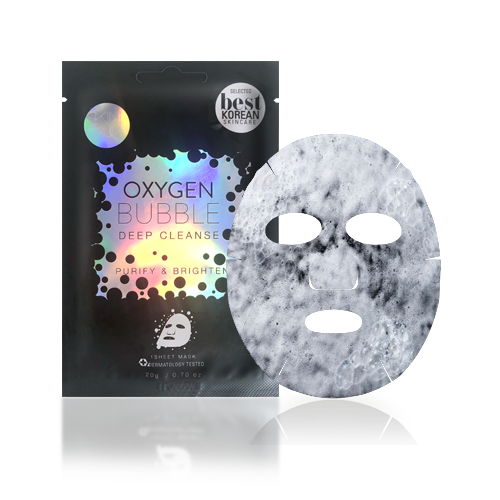 This mask is an oxygen-infused, wash-off bubble mask, that claims to give you a more rejuvenated complexion. It definitely delivered in the rejuvination department. I have tried oxygen masks in the past, and almost all of them made my skin super itchy and irritated. This one was gentle, but still gave me the glow that I was looking for. I was overall so impressed with this mask, and will for sure be repurchasing more for the future! I was thoroughly impressed with these masks! Like I said before, I usually don’t have super high expectations for sheet masks, as I’ve always just seen them as a fun and unwinding treatment. However, these masks delivered their promises, and helped to promote glowier skin! I wasn’t expecting to have completely new skin, because it was only one week of masking…but it was an amazing kickstart to a resolution that I’ve always wanted to make for myself. I will definitely be repurchasing some of these masks and other products from them as well! Want to check these masks out, and get a little discount as well? Check out theskinforum.com and use code mallorybelote15 at checkout to get 15% off! Disclaimer: I will receive a commission based off of your purchase. Have you ever tried sheet masks before? Intrigued by them? Tell me more in the comments below! Hi! I’m Mally. I’m a professional makeup artist, licensed esthetician, college student, and bride to be! You can read about me more here!